This is the 2nd post in the Library Bag Tutorial series. 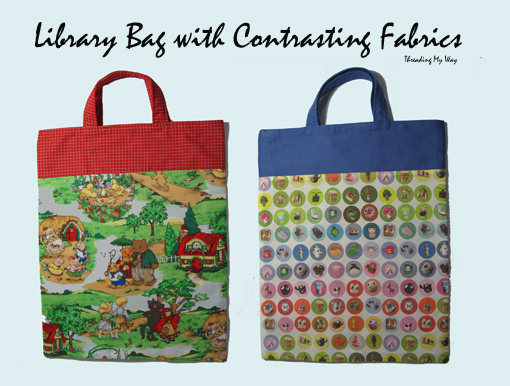 Today I'll show you how to alter the basic Library Bag, to add contrasting fabrics. Finger press the seam. I usually press the seam towards the contrasting fabric, but it doesn't really matter whether you press it towards the contrasting fabric or the main fabric. I usually make the decision based on the thread colour in my machine and the colour of the fabric. In this case, I've pressed the seam towards the main fabric. Topstitch 1/8" (3mm) from the seam. 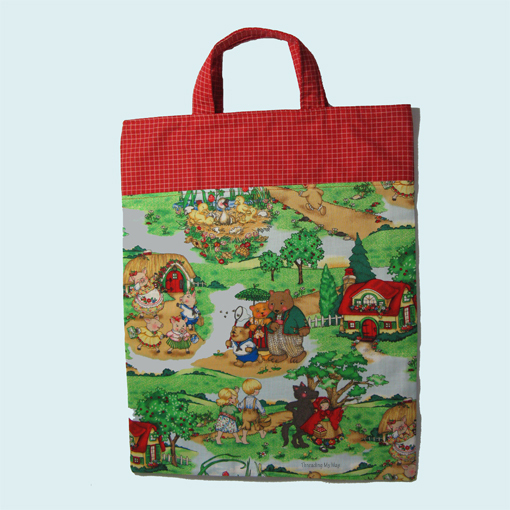 To finish, follow the tutorial for the basic Library bag. 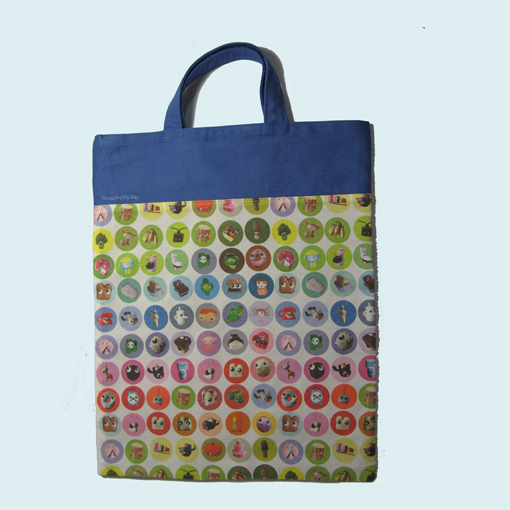 This fabric, with it's quirky characters, is ideal for a library bag. I can just see a young person likening the small characters to those in books they've read, or even making up their own stories about the characters. I just adore this fairy tale fabric and am now down to small scraps. 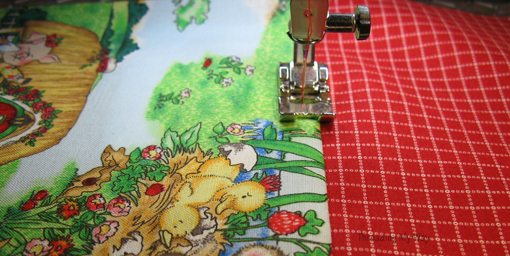 A pillowcase, previously made with this fabric, is a firm favourite with one of the little people in the family. These bags are lovely, I really should make my 2 a bag each, it might stop the library books getting lost in the bookcase! Ooh I think I like it better with the contrasting fabric at the top. Very nice. So cute.... and I love the fabric!! You inspired me, 3 library bags made ready for school to start. This is adorable! I need to sew a library bag. We wore our old one out!